When Have A Great Day Doesn’t Really Mean Have A Great Day. My mother-in-law takes issue with people here in the south. I especially notice her discomfort in the grocery store. My Mother-in-law’s Theory: People in the north may be rude and keep to themselves but you can trust what comes out of their mouths. People in the south are phony and fake and have ulterior motives when they speak to you. Of course, I disagree. I love the friendliness here. I find it real and reassuring that there are people trying to spread cheer in the world. I love the smiling hello greetings and the “thank-yews” when I leave the store. I take the friendliness at face value. Maybe because I’m right. Maybe because I’m just happier that way. But quite honestly? I don’t care. I’ll take my theory over hers any day of the week. I’ve lived in both places, north and south. In the north for 21 years and the south for 27 years. And I’ve found phoniness in both parts of the country. Our neighborhood has a Facebook page. And on this page, fellow residents (we have over 500) post their comments about upcoming activities, a heads-up about school fundraisers or about neighborhood amenities. My friend was fed up with some complaints about issues with the pool. So, she provided a disgruntled resident with a very fact based response, hoping to calm the resident down with what could be a highly charged issue. Throwing a “Have a nice/good/great day” at the end of a response when it’s clear you don’t mean it? So unnecessary. You aren’t fooling anyone. When you insist you really meant “Have a great day!”? No one believes you. We can see the snot through your sing-songy voice no matter if we’re from the north or the south. How about say nothing at all? We were in the grocery store. My daughter was a toddler. A elderly woman approached us. I was always pulling for her. Always hoping she’d find some peace. I just didn’t want it to be this way. 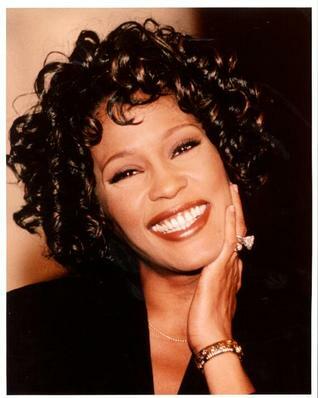 Such an amazing voice. Classic. Beautiful. Pure. Where In The World Are The Kindness Police When You Need Them? 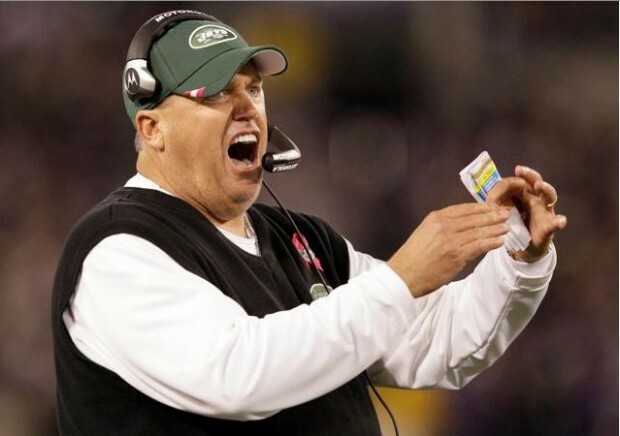 The head football coach of the New York Jets, Rex Ryan, is under scrutiny by the NFL after telling a fan to “Shut the f— up!” as the team walked off the field at half-time. The coach is under scrutiny by the NFL. But what about the heckler? Where are the kindness police when you need them? Apparently, this isn’t the first time for Mr. Ryan. He was fined $50,000 for flipping a fan off at a mixed martial arts event. The fact that the NFL is demanding appropriate and exemplary behavior from its players and coaches on and off the field is admirable. I’m all for having opinions. I have plenty of opinions about the over-paid players, the outrageous cost of tickets and the searches that make me throw out the 5 month old fun-sized candy bar smashed at the bottom of my purse that I wouldn’t have tried to eat inside the stadium anyway (yes, this really happened.) But if I have a beef with a coach or a player or the fat cats raking in the ticket money, I’ll go through the proper channels. But I’m not about to heckle the coach in the middle of the game. Cheer your team. Boo the ref. But keep your insults to yourself when you’re at the game. Just a little thing your mother should have taught you. A crotchety curmudgeon. A war-time journalist for the U.S. Army. A humorist. A somewhat reluctant television personality. A former news correspondent. A husband. A father. I had a love/hate relationship with Andy Rooney. He made me laugh. He annoyed me. But always, he made me think. And I love a person who makes me think. I’ve been watching him on 60 Minutes for as long as I can remember. 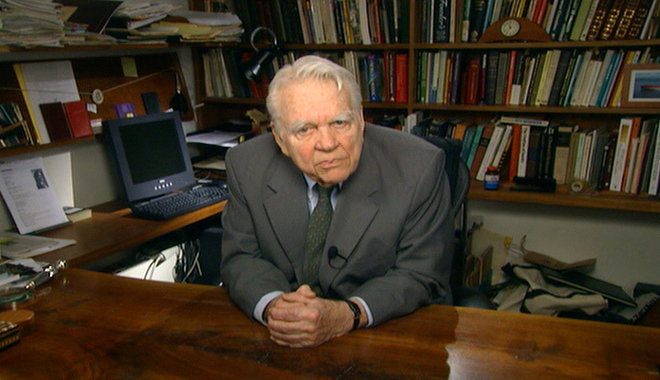 There are some episodes, thanks to the invention of TiVo, where I’d skip to the last 10 minutes of the show just to watch Andy Rooney. I’ve tried to copy his style. To no avail. But when I’m a bit down about my own blog and how I don’t seem to have a direction, I think of him. It annoys me that I can’t find some niche. That I’m a female who blogs but it’s not a “mom blog” or a “writer’s blog.” I sometimes feel like a square peg in a round hole. It’s just a blog. And I write about the serious and the mundane. Hey. Kind of like Andy Rooney. So, I secretly convince myself that I’m more of an Andy Rooney blog. Although, I’m not sure Andy would appreciate the comparison. But that’s ok. He’ll never read me. He hasn’t read me. Not that I know of, anyway. But some people have read me. And they like what I’ve written. And that is what is important. To get the written word out there, hopefully to be read. But just get it out there. My readers are kind of like my friends from high school. A mixed bag. I was friends with jocks, nerds and the artsy fartsy types. Today, my readers are executives, homemakers, chefs, musicians and teachers with a few artsy-fartsy thrown in for good measure. And am I honored to be in their presence. They inspire me. They make me laugh. They make me think. Together we get our thoughts out there to share, to see and be seen. We do our part to shift the cosmos a little, to shake up conventional wisdom. And I love that about all of you. Our words are read. Some are preserved on paper. Some words are preserved on the internet. But they live on. And they touch souls. They open minds. Yes, Andy Rooney. Thank goodness that writers never die. 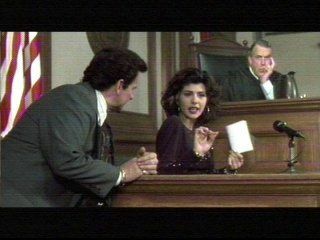 It Was A Scene Straight Out Of My Cousin Vinny. And Jane Lived To Tell About It. He showed up more than an hour before traffic court opened. Rolling Stones t-shirt. Scruffy beard. Work boots. I wondered why he was sitting outside the door so early. The only reason I was so early was because my son had a class at the community theater a few doors down. And I wasn’t about to get in line. This is Teeny Town, Southern State, USA. How many traffic tickets in one week could there be? A lot, apparently. And from all walks of interesting life. Traffic court didn’t open their doors until 5:30pm. Court began promptly at 6pm. My husband was supposed to meet me at 5:20pm to hand off the kids so I could get in line. Yes. Jane received her second traffic ticket of her life. And yes. Jane was ticked (so to speak). She shouldn’t be here because she didn’t break the law. She just hit a certain intersection at a certain time when the light was indeed yellow but Officer Jack felt it was red. She had a witness. Her daughter, who said, “I’m proud of you Mom!” as she skated through the intersection. You see, Jane usually brakes for yellow lights. But with a quick glance in her mirrors, noticing the line of cars on her behind, she decided to complete her left turn to avoid getting hit. And when the flashing lights appeared in her rear view mirror, Mom turned to daughter and said, “Still proud of me?” Daughter slunk down in her seat. But traffic court is where the fun began. Because Jane did her homework and consulted her lawyer friends. She was armed and ready, waiting in line to check in and challenge the powers that be. And Jane loves to people watch. What better place than traffic court? The room was tiny. It only sat 51 people. (Yes, I counted.) All the seats were taken and there was a line, winding out the door. Southern twangs were bouncing off the walls. Tattoos, stiletto heels, nicotine stained fingers and teeth, bleach blonds, teased bouffant hair-dos, skin-tight pants, gigantic costume jewelry. And this was seen on just one of the offenders. Tall. Short. Skinny and the calorically challenged. Blue hairs and the pimpled faced. All there for one reason and one reason only. To fight injustice! “I was one year shy of finishin’ law school,” Officer Napoleon boasts, “But then I a-cided I wanted to be on the right side of the law!” Yuk-yuk-yuk. He laughed at his little joke. “Liar. Lawyer. It’s all the same!” He yukked again. I had to listen to this joke 5 times before I was finally out of earshot. Her Honor finally arrived. Two men in orange jumpsuits and shackles were paraded in front of us, jumping the line to appear before the judge. A scare tactic, maybe? It worked with me. I started to shake and doubt my resolve. You see, I am an inquiring mind. I do my homework. “You need to speak to the public defender,” Mr. Prosecutor says, suddenly. “But…,” I protest, thinking I’ve now done something terribly wrong and won’t get my lesser charge. “No. Trust me. You want to speak to the public defender,” he smiles. I nod and move on to the next table. Mr. Public Defender heard it all and is already thumbing through a law-book. I’m stunned and amazed. (Thank you, lawyer friends of mine!) After much debating with Mr. Public Defender (because I could hardly believe my luck) and an amused smile from Mr. Prosecutor, I decide to take it to trial. But I have to wait until the end of October. Six-year-old Eden Wood is retiring from…..
After all, she’s competed in over 300 already. Call it burn-out. Call it been-there-done-that. Whatever the reason, she’s done. 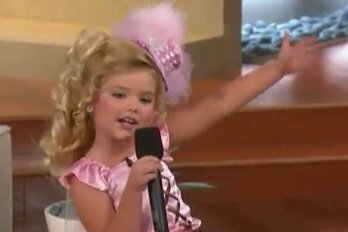 Maybe pageants will interfere with her book tour. She’s written a memoir. It’s called “From Cradle To Crown.” Six years old and she has a memoir already. Boy, I’d better get busy with mine. Looks like I’m about 40 years behind schedule.